We are excited to see you and your guest this Sunday! Below, please find important details you need to know before you go. Once you have parked your vehicle, head WEST along the avenue. There will be Celebrate the Chef signs to guide you towards the check-in area at Plaza de Mexico. 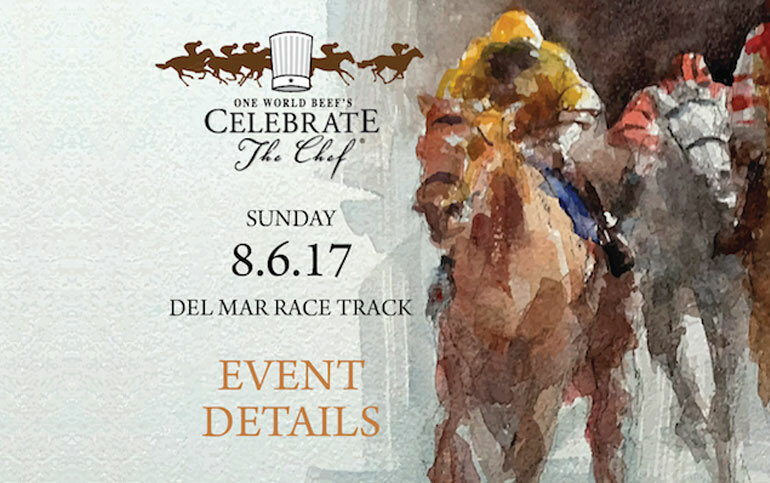 You will receive your Racetrack Admission outside the Stretch Run gates ticket windows – look for the Celebrate the Chef “Guest Check-In” sign. Upon entry into the Plaza de Mexico, there will be a second “Guest Check-In” where you will receive your entrance credentials for the One World Beef Cabana. Look for the One World Beef tent! From Interstate-5, exit Villa de la Valle and turn so that you are heading west. Turn left at Jimmy Durante Blvd. Turn right into the Del Mar Racetrack main parking entrance. 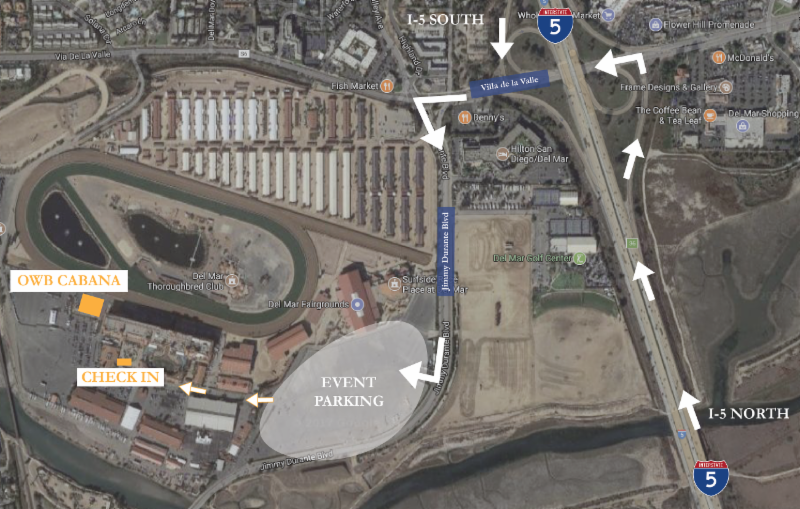 Parking is available at the Racetrack’s main event parking lot, as noted in the above map under “Event Parking”, and is accessible from Jimmy Durante Blvd. Valet Parking $25Additional information regarding transportation options can be found here.